Ecommerce in Toronto, Guelph, Kitchener, and London is transforming business. Need help selling online? We can setup up e-commerce solutions from a small scale donation link, purchase or simple store through Shopify, to a full-blown e-commerce machine that will be the core of your business. We are experts with Magento, Shopify, Paypal, Prestashop and WooCommerce for WordPress to name a few different e-commerce platforms that we work with. We also have our own amazing proprietary software geared toward the restaurant industry. 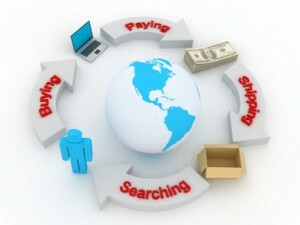 E-Commerce continues to grow, as more and more people enjoy the convenience of shopping online through a variety of platforms. We use open source platforms with free community-based software cores such as Magento and Prestashop which allows customizations to occur under the hood through a variety of pre-built modules, as well as using custom and proprietary e-commerce solutions. For those packages which we are not familiar, we have the ability to quickly master and learn them.